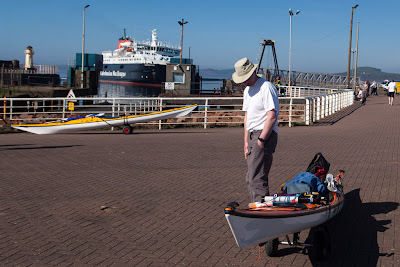 After returning from our day trip to Arran on Sunday night, Jennifer, Mike and I spent Monday morning packing for a three night trip round the island. 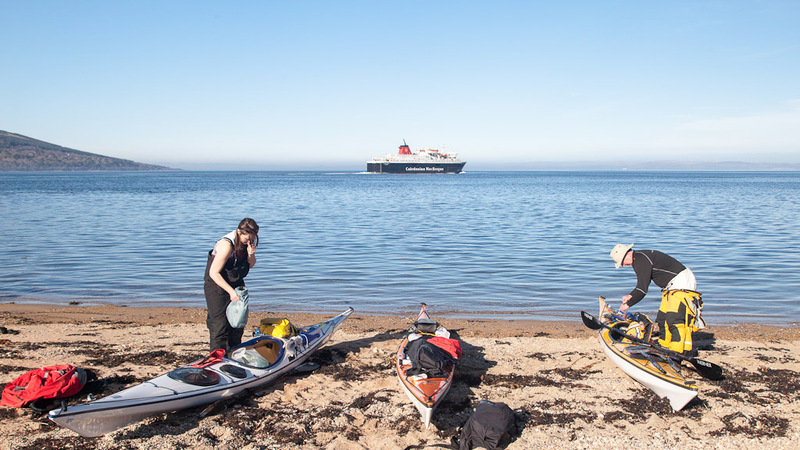 We arrived at Ardrossan in plenty of time for the !515 ferry across to Brodick. ...as we entered Brodick Bay. Away to the south, Holy Island showed the route of our return (in 4 days time) as we planned an anticlockwise circumnavigation. 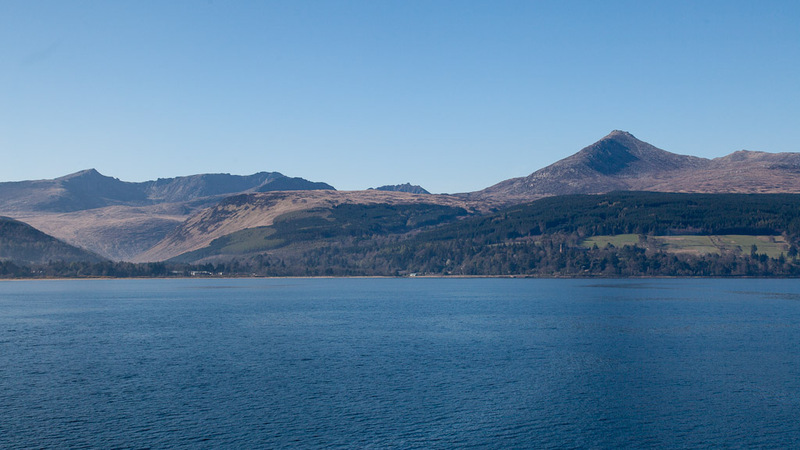 We arrived in Brodick at 1610 but were on the water by 1645, just after the MV Caledonian Isles set off on her return to Ardrossan. We had about 3 hours of daylight to reach our intended camp site at the north end of the island. 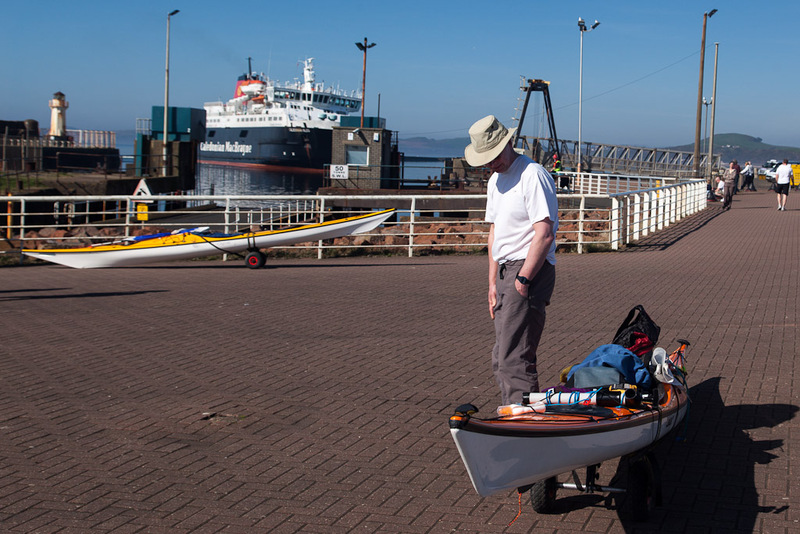 We were all set for another adventure on the isles and sea lochs of the West of Scotland. P.S. 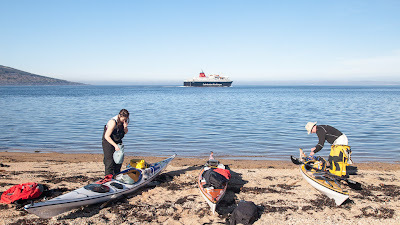 Long term visitors to seakayakphoto.com may wonder why my recent trips have been mostly confined to the Firth of Clyde. Sadly my knees are not good and although I have made a remarkable recovery after a traumatic accident and some pretty major surgery, I still find driving uncomfortable. 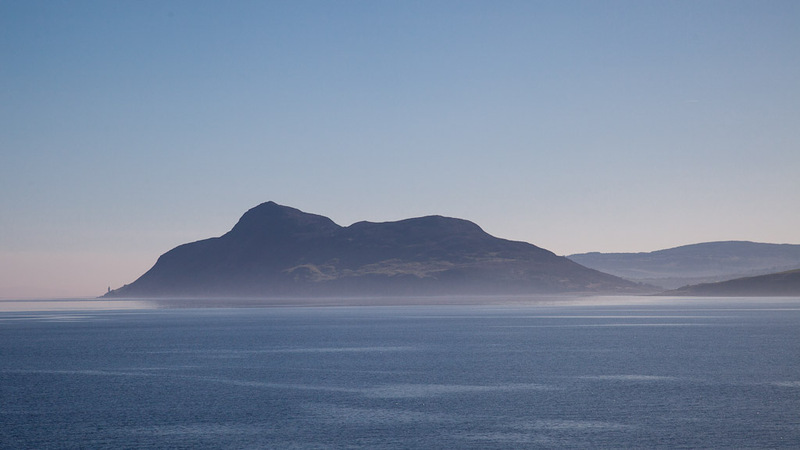 However, I hope this trip will illustrate how lucky we are in the West of Scotland to have such magnificent coastal scenery, less than an hour's drive from Glasgow (which is Scotland's largest city).